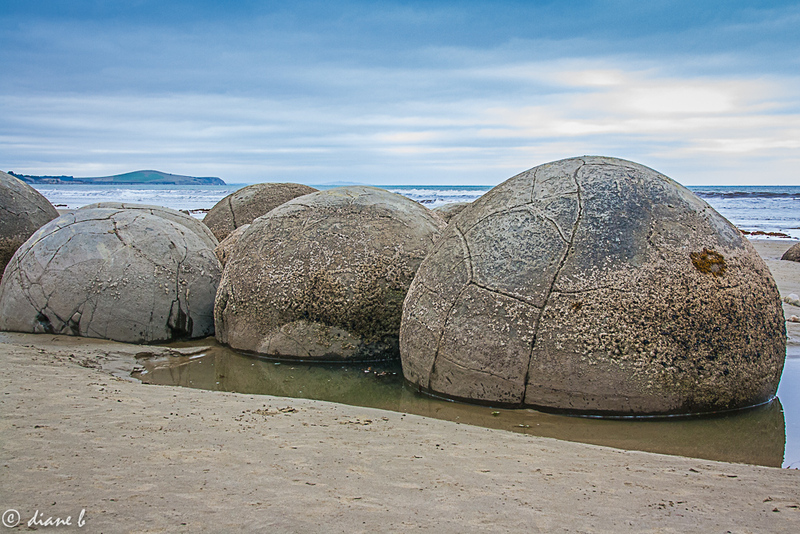 One of the things on my bucket list was to see the Moeraki Boulders on the beach in New Zealand. 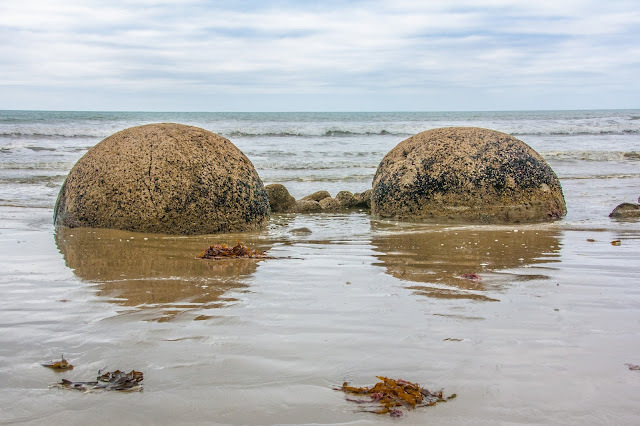 I was pleased to see that the road from Christchurch to Dunedin passes right by Koekoheo Beach where the boulders rest after falling out of the cliffs on the edge of the beach. So during our recent visit to NZ we called in. Unfortunately the weather wasn't good. Showers and a grey sky, not good for photography. However, we tried to make the best of it. 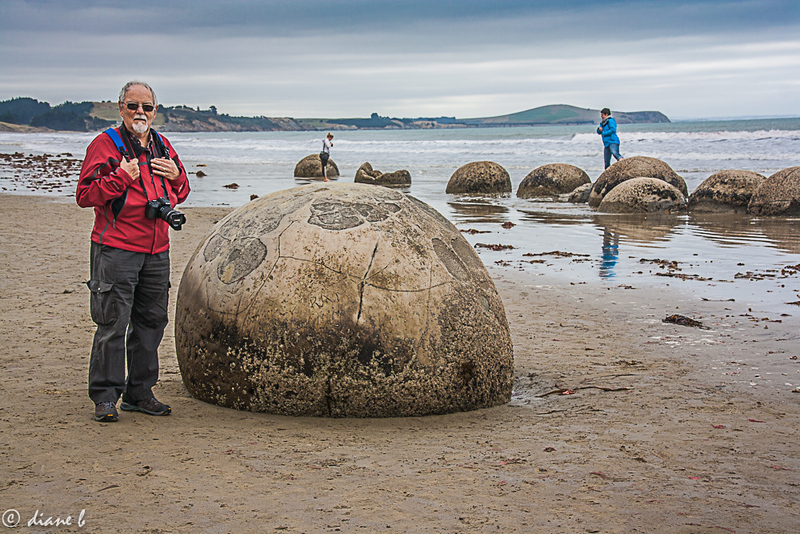 Bill was disappointed he thought the boulders would be much bigger. 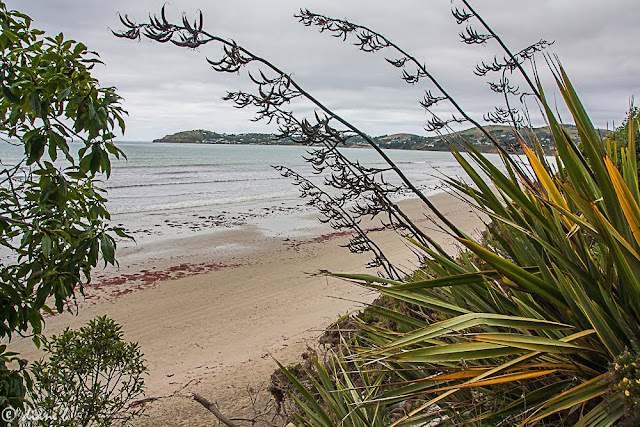 We walked down to the beach from the car park. 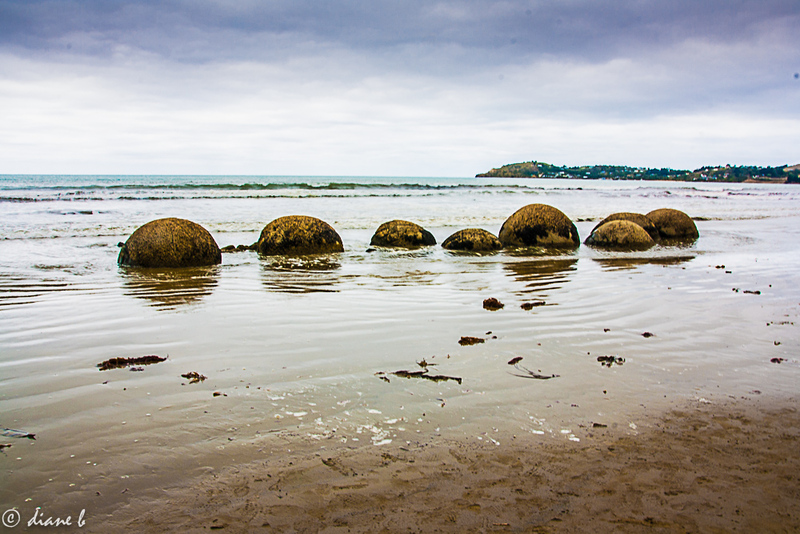 There were others who had come to see these strange round boulders. Bill thought they were going to be much bigger. 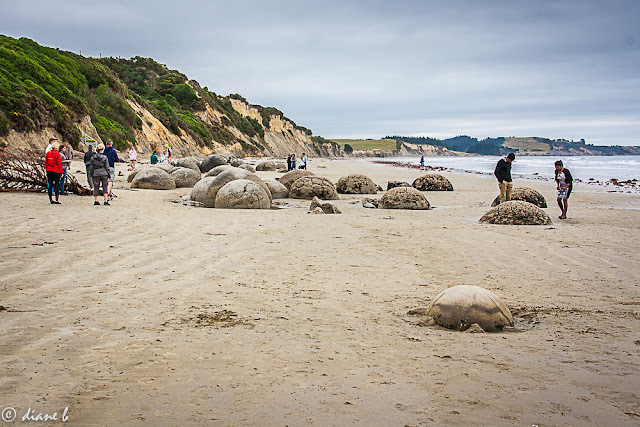 Scientists say they are concretions, a hard mass stuck together with mineral cement and they grow in a sedimentary strata until they are exposed by erosion and then they roll out of the cliffs onto the beach. I was happy to tick off another item on my bucket list. I got the dirty knee from taking the shot before this one. Very interesting. Maybe "Igloos" ?? Really who knows? Sure is prehistoric. I've seen blog posts about these elsewhere and the general feeling is that they are not as big as people think. Even so they are certainly an unusual geological feature and as Dr Johnson said about Giant's Causeway, another coastal feature which is never as big as the guidebooks suggest, "Worth seeing, yes; but not worth going to see." What remarkable rocks! 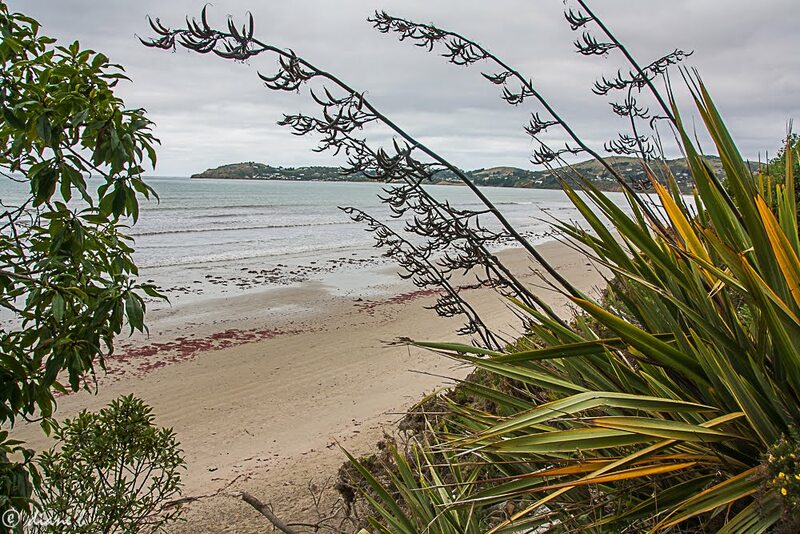 We are planning a trip to NZ for next year - looks like we just added another stop! Never seen that in my life ! How impressive ! and the form is so strange all round, another miracle of nature ! What a special miracle of nature. Never heard of them. Fascinating! They look a little like huge seal lions/seals sleeping on the beach. Glad that you got to tick this off your bucket list and you got to share them with us. Fascinating! I have never seen anything quite like this type of rock formation, and an interesting explanation of how they were formed. Thanks Diane and always good to see you and Bill in your photos. They may be smaller than expected Diane but they are beautifully shaped and look incredible there on the beach. I'm pretty keen to get up and see the Pinnacles, up the coast a bit from me! Hello Diane, they are unique! The shapes are almost perfectly round. I am glad you were able to see these boulder and beach. It is nice to see shots of you and Bill too. Happy Tuesday, enjoy your day! Those are really cool and tell Bill they may not be as big as he wanted but geez, wouldn't want to be sitting on the beach when one rolled on down! 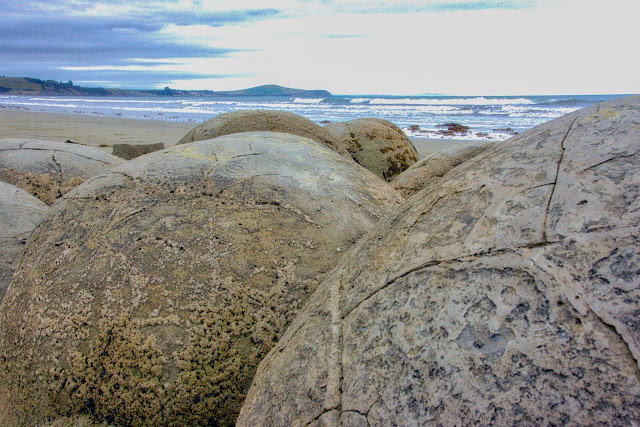 Imagine the years of waves and weather that have beaten on them and yet they are still so round! Hadn't heard about this beach before. So interesting how the rocks are formed. My niece found what she said was a fossil. It took another blogger to identify it as a concretion, something I knew nothing about. The boulders look quite large to me. The boulders may not have been as large as Bill thought they would be, but they are fascinating nevertheless. I actually like the moody, stormy, light in these photos, Diane. It adds to the mystery of the boulders. They almost look like giant turtles sleeping on the sand--very unusual! Onmy Wishlist, too, Di. 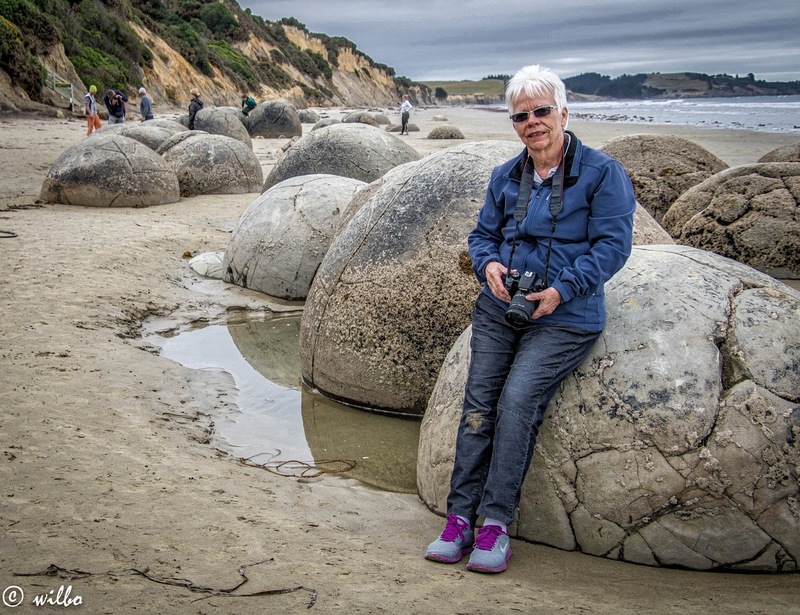 Although people,including Bettyl, above, say our local Koutu Boulders are more impressive. Love your photos! The rocks are certainly different. They do look good. Hmmm . . . they look like giant fossilized dinosaur eggs. Very cool and interesting. The dirty knee is the badge of a good photographer. They look like a Giant's scattering of playing marbles.